This precious display made of 3 mm acrylic glass transforms your artwork instantly into a rare eye-catching exhibit. 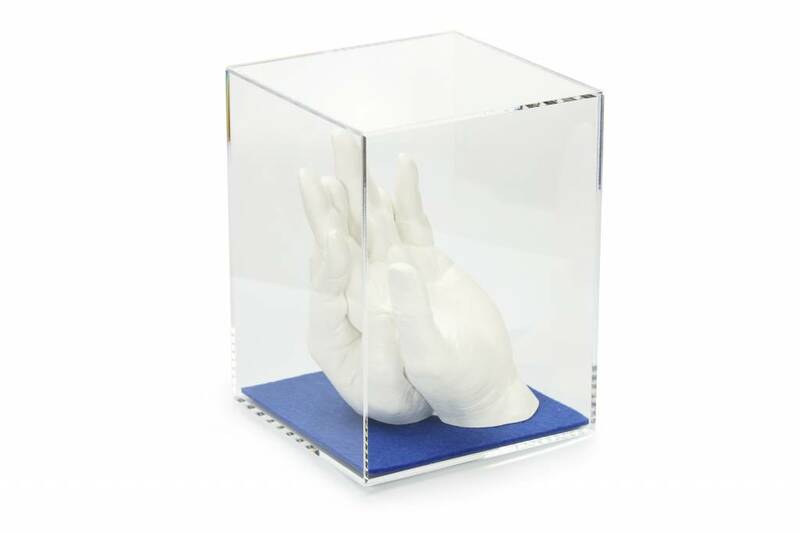 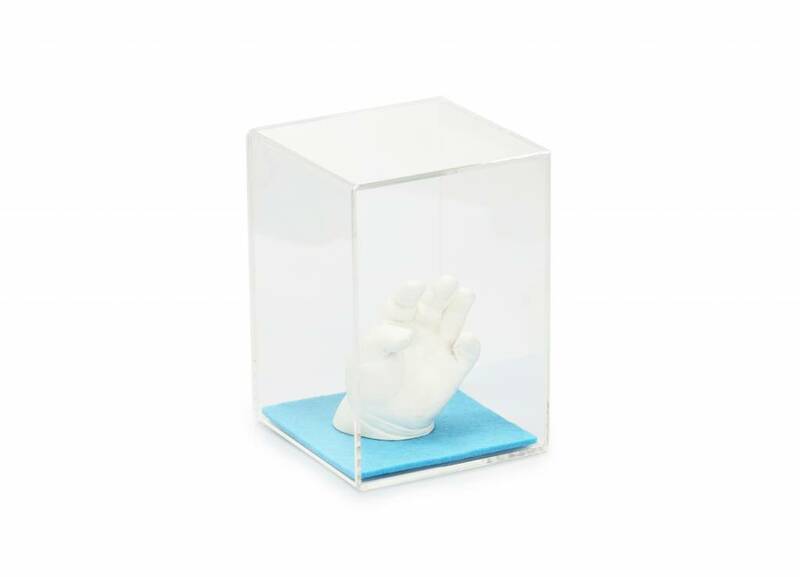 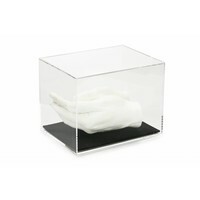 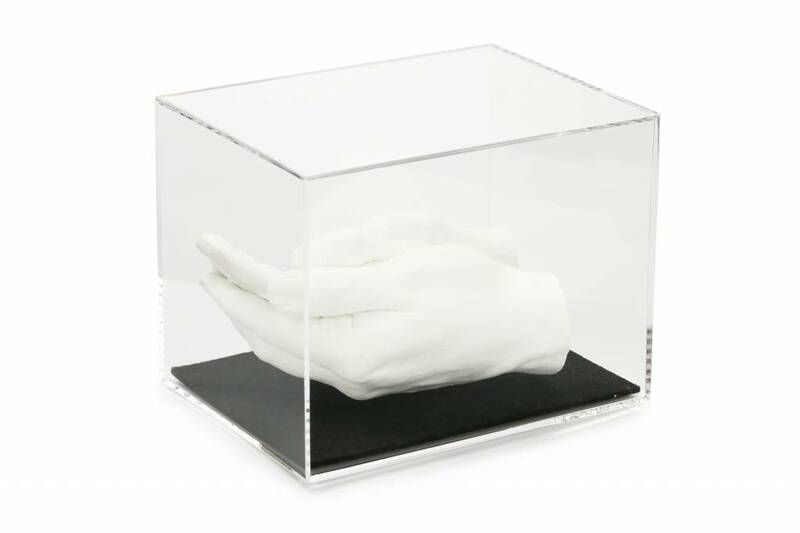 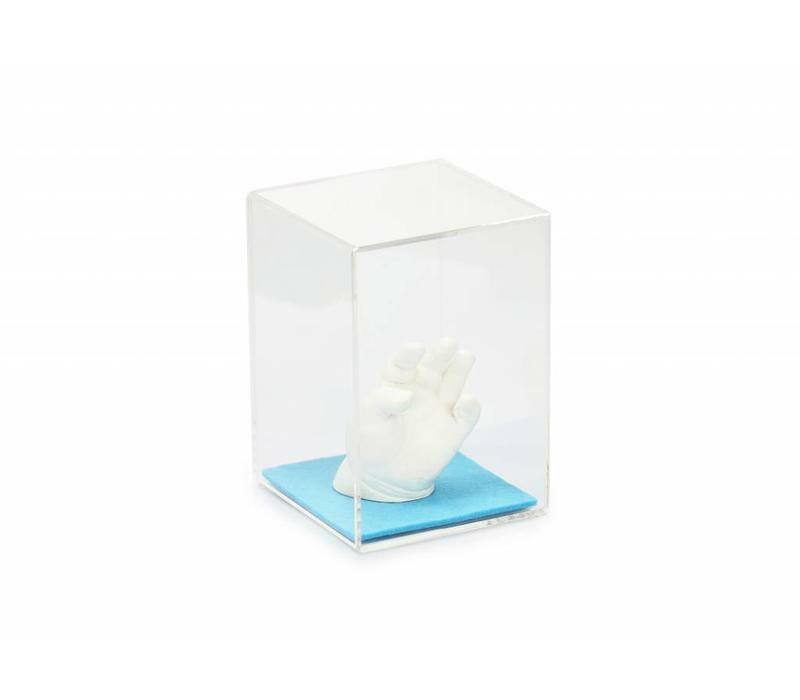 Upgrade your Lucky-Hands gypsum casting with the display case and simultaneously increase the life-span of your exhibition by protecting it from external influence. 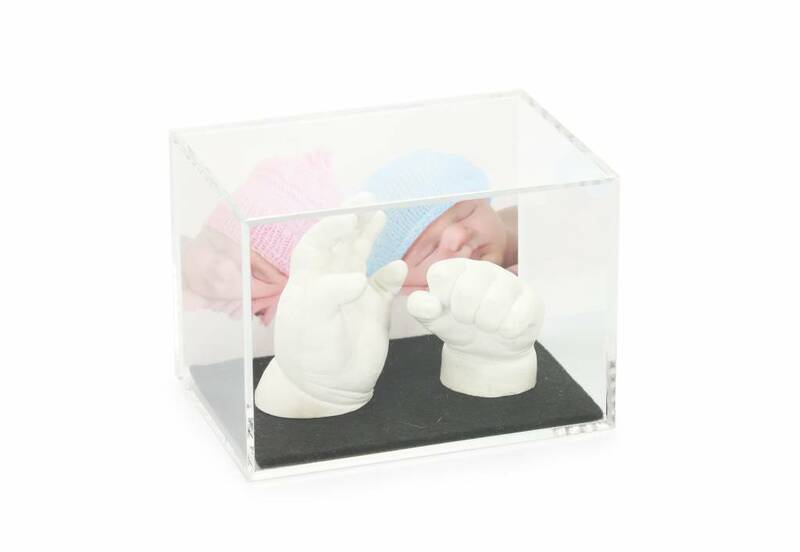 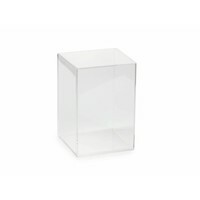 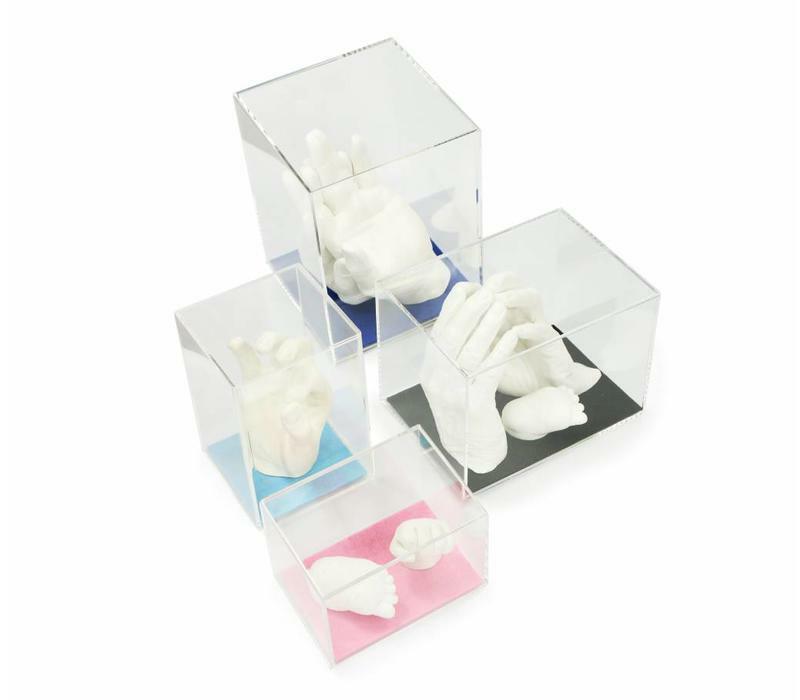 Our high-quality, hand made multi acrylic display cases are exclusively available in four different sizes. You can use your display both in portrait mode for a lucky hand or in landscape mode for more than one. 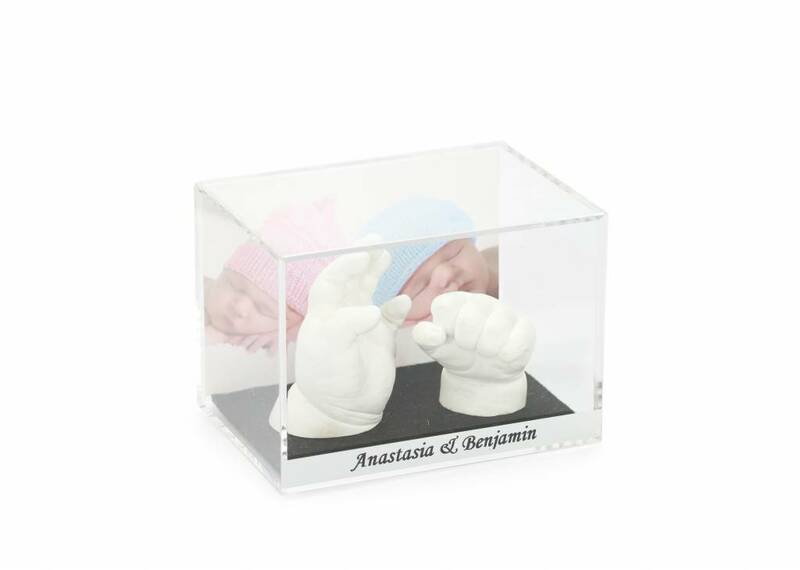 Combine your 3D art with the most beautiful photo of your favorite or one of our detailed hand or footprints of Magic Footprints. 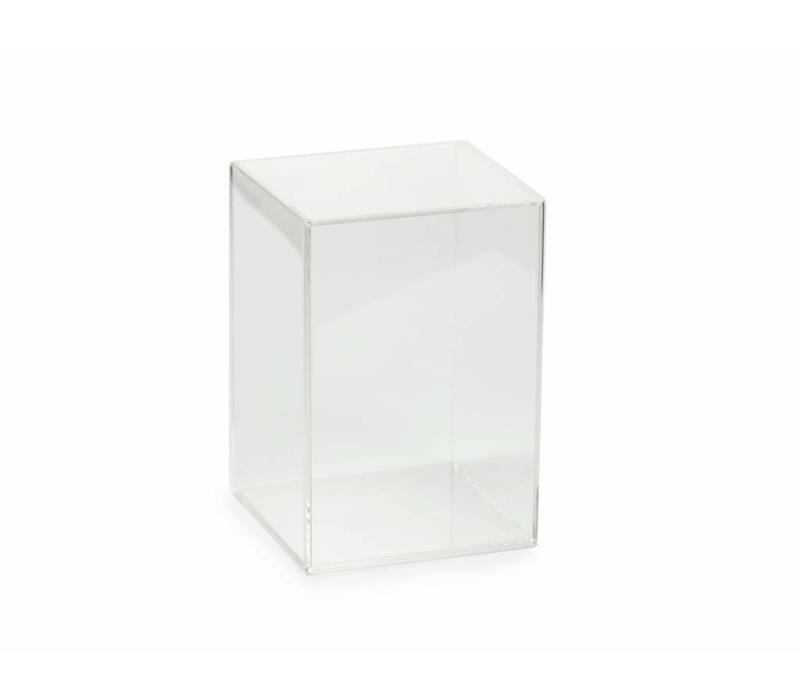 In order to better accentuate your extraordinary piece of art, a decorative piece of felt is included with every cube delivery. When ordering, choose from the colors pink, light blue, dark blue or black. 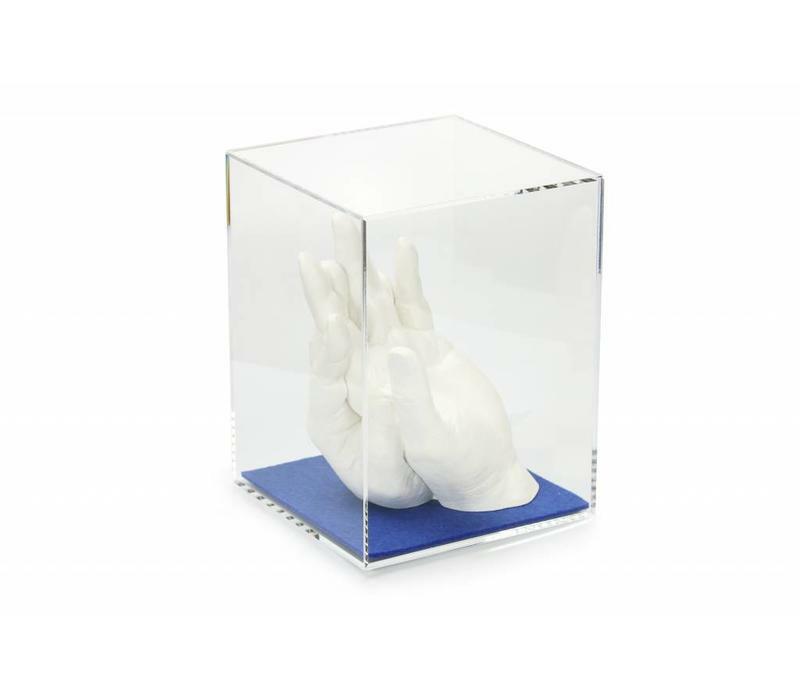 Naturally, you can exhibit and let your piece of art be admired at any time without the felt. 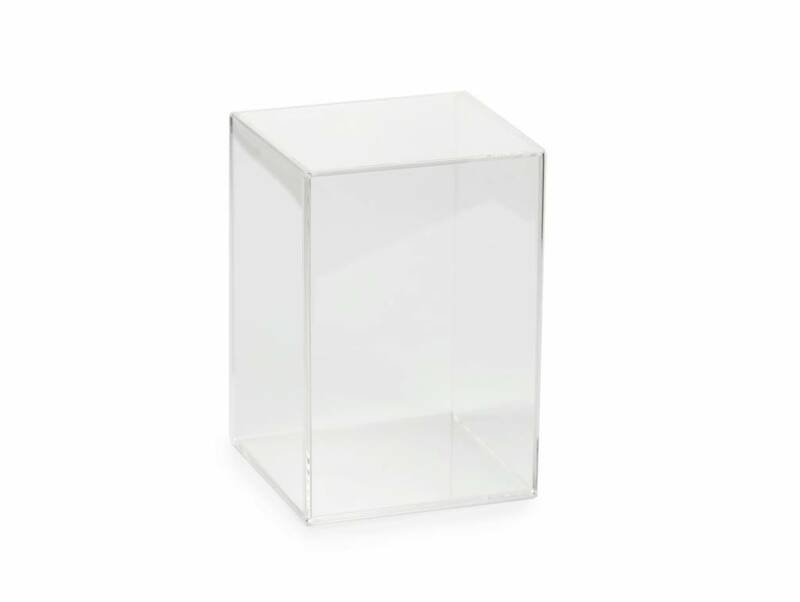 For a small fee, we can personalize your display case on one side with a text. 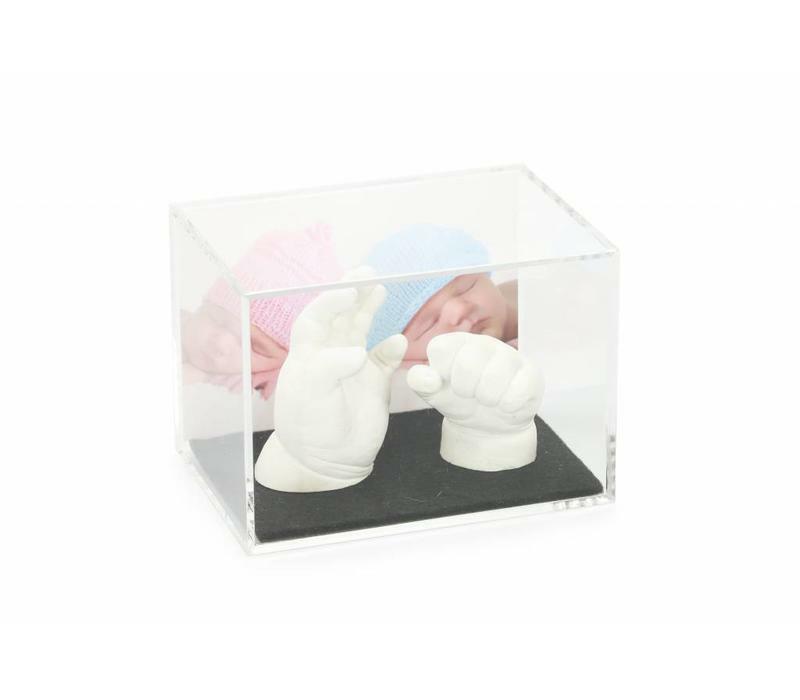 For example, the name and date of birth of the child has an elegant effect on a silver background. 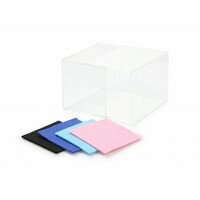 The text of your one-line printing can be conveniently entered as comment when ordering. 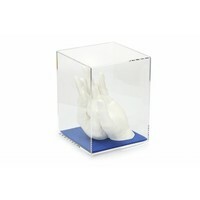 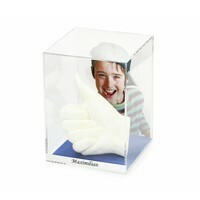 The display case consists of two precisely cut, U-formed halves. 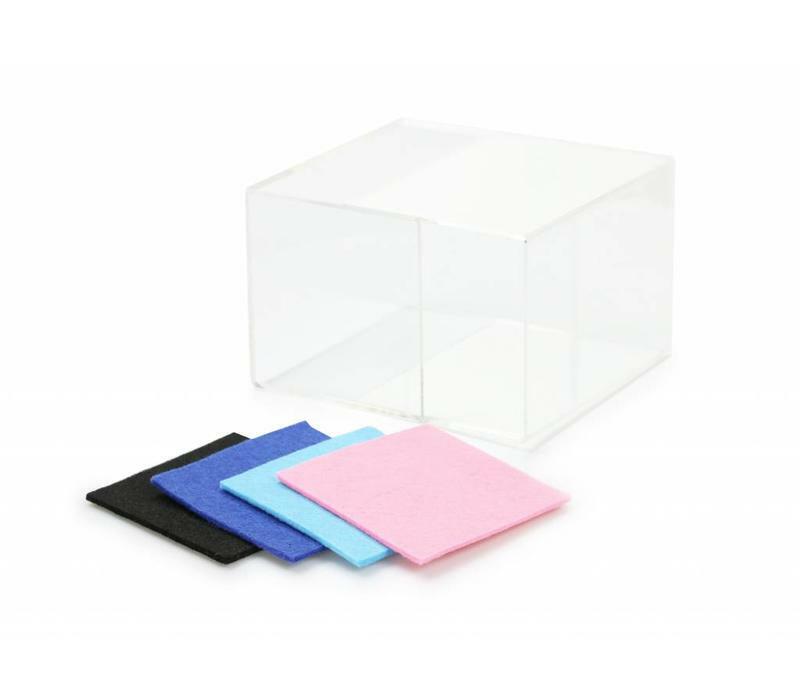 During assembly, simply place the felt and your exhibition piece on the bottom. 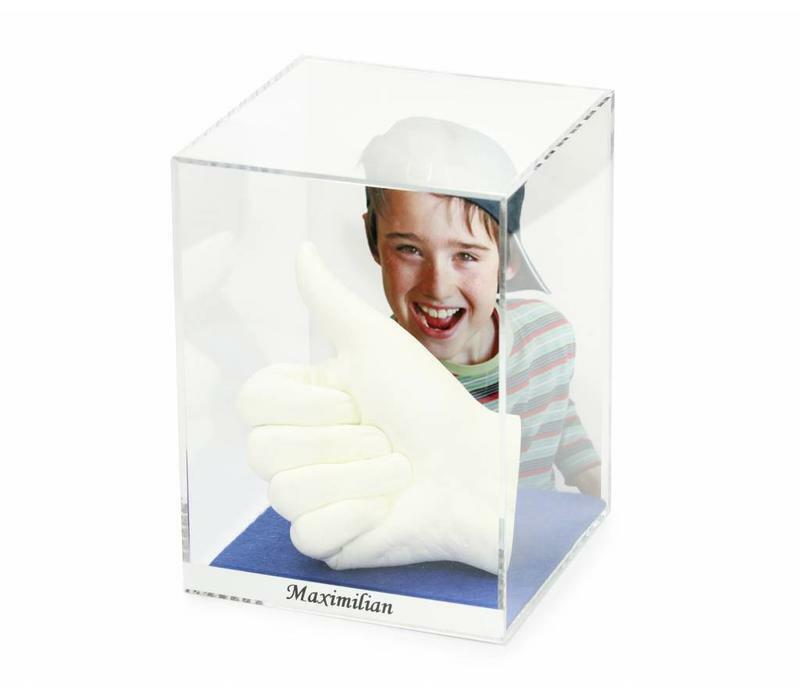 Then carefully place the upper halves on top - finished! 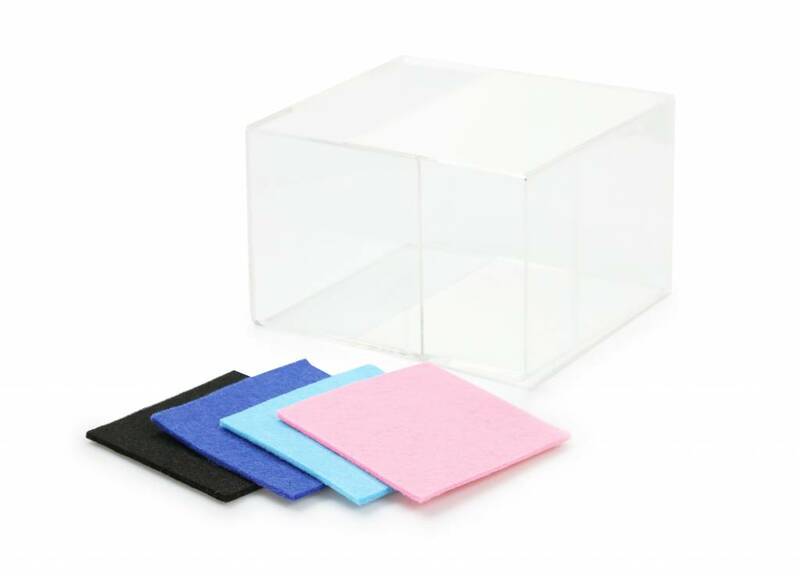 You need not cut, glue or screw together anything. 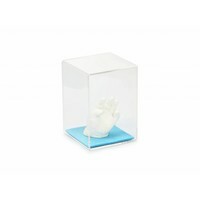 The smart form lets you re-decorate your display case easily and as often as you like.